Microsoft confirmed its plans for ARM-powered Windows 10 notebooks last year. The notebooks will be powered by the Snapdragon 835 processor from Qualcomm and they will be able to run conventional desktop apps on Windows 10. These notebooks were expected to arrive this year but not much information is available right now about when they’ll arrive. When they do arrive, it seems that the battery life is going to be a major selling point. According to a new report, Qualcomm is committed to bringing the ARM-powered Windows 10 notebooks to market by the end of this year. OEMs like Lenovo, ASUS, and HP are all developing their own ARM-powered Windows 10 notebooks. Microsoft is claiming that these notebooks will be able to get multi-day battery life. “To be frank, it’s actually beyond our expectations,” said Microsoft program manager Pete Bernard at the Qualcomm summit in Hong Kong this week. He added that the company set a high bar for its developers and it’s now beyond that. “It’s the kind of battery life where I use it on a daily basis. I don’t take my charger with me. I may charge it every couple of days or so. It’s that kind of battery life,” Bernard said. He also mentioned that the ARM-powered notebooks will be a “game-changer” for laptops. That’s all well and good, but people are certainly more interested in finding out when these machines will be unveiled and what kind performance can be expected. Unfortunately, there’s no word on any of that as yet. It appears that Apple isn’t just interested in producing chips for its mobile devices. If a new report is to be believed, the company wants to reduce its dependence on Intel for the MacBook lineup. It suggests that the company is thinking about developing custom ARM chips for future Mac machines. Citing multiple industry sources, Nikkei Asian Review reports that Apple is looking to develop custom ARM chips for future Mac products. “Notebooks are becoming thinner, while consumers are demanding better mobility and longer battery life,” says an unnamed chip industry executive cited in the report, adding that this gives a good opportunity to ARM’s architecture which is known for its power efficiency. No further information is available about Apple’s possible shift to ARM other than industry chatter. 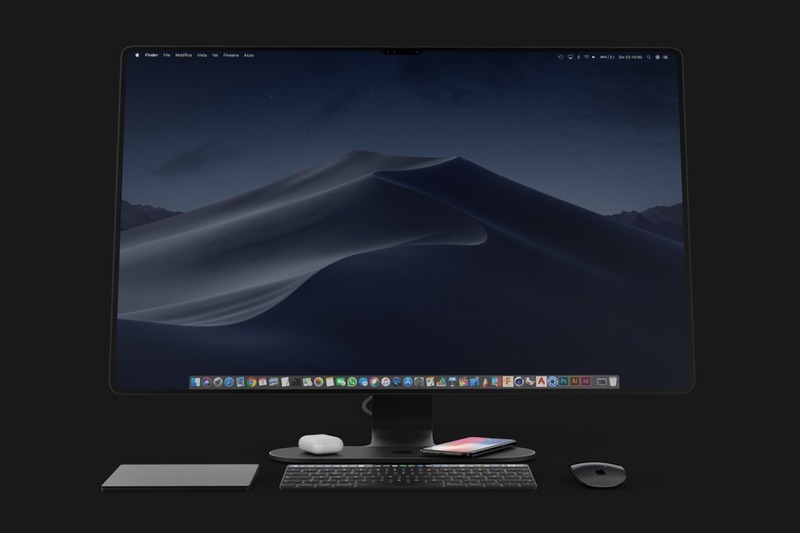 Moreover, there haven’t been any rumors suggesting that Apple is developing an ARM-compatible version of macOS. So even if the company might be thinking about such a move, it’s far from confirmed that this will happen, so take this information with a grain of salt until there’s more information. The report also mentions that Apple has been investing in research and development for baseband model chips. This could mean that the company might eventually reduce its reliance on Qualcomm as well for future iPhones, but this may also take a few years. Nothing is set in stone, though. Another Computex comes to an end, and once again, there are a flurry of great announcements and products related to the PC industry and derivatives such as VR/AR and Gaming. We have run around to check as many things as we could (check our Computex 2017 coverage), but we didn’t stray too far from our normal regimen of laptops and key components such as CPUs and GPUS. We’ve compiled this list (no particular order) of what we thought were the best products of the show, so congratulations to those companies and team who built them. The goal for next year: see and try even more products! ASUS came in force to Computex 2017, and the ASUS ZenBook Flip S is the most interesting laptop the company showed. At 10.9mm and 1.1Kg, t is the thinnest convertible laptop. It is also a powerful computer, with up to Core i7, 16GB RAM, 1TB PCIe SSD and a digitizer pen. Add to that a good battery size and a starting price of $1099, and you have a laptop that provides excellent value. The NVIDIA Max-Q design is a set of technologies and design rules from NVIDIA that enables PC-makers to build “real” gaming capable laptops into a thin and light form factor. By putting an extreme emphasis on power-efficiency, Max-Q design laptops can run the most demanding games without requiring a huge chassis and the weight associated with it. Not only gamers can benefit from this, but designers and creative users can too. WiFi connectivity remains a challenge for millions of users: bad connectivity, poor range, no line of sight and other problems abound in the real world. Qualcomm has been driving the next-generation mesh-based WiFi self-organising networks. They are easier to setup, have longer range, and use technologies originally developed for cellular telephony. Qualcomm’s new mesh networking reference design will help build new commercial products faster. With renewed competition from arch-rival AMD, Intel has announced a new line of “enthusiast” CPUs called Core X, which closes the performance gap and offer an extreme X cores version which should become the new speed leader. More importantly, Intel has adjusted its prices to the new reality, with deep cuts at every level of performance where it needs to compete. The consumer wins. PS: keep an eye out for the 8th generation of Intel Core processors — they should get a nice speed boost. Acer is among the first OEMs to build a thin and powerful gaming laptop around NVIDIA’s Max-Q design. The ACER Predator Triton 700 is a powerful machine, with a fast Intel Gen 7 processor, NVIDIA’s 1080 GTX graphics chip, up to 32GB of RAM and two PCIe SSD. Add to that support for 2x USB 3.0, 1x USB 2.0, 1x Thunderbolt 3, 1x full-size HDMI, 1x DisplayPort and Killer networking. Despite this power, the chassis is only 0.74” thick. The only downside is its price of $2999+. The ASUS Vivo S is a laptop designed for the average user who wants a good computing experience. To achieve this, ASUS has built a computer with good looks: there’s an aluminum design (17.9mm thin), and an 80% display to body ratio for the 1080p/FHD screen. For games and creative apps, there’s an optional discrete graphics chip, and there’s a fingerprint reader built-in for convenience. The best part: it starts at $499. In the 14” ultrathin laptop space, ASUS hits hard with the Zenbook 3 Deluxe, a laptop that made some noise at CES, but that is set to ship in the next few weeks. With a 12.9mm thickness (and 2.42 lbs), it should be the thinnest 14” laptop when it becomes available for sale at a starting price of $1199. It comes fully loaded with up to Core i7, 1TB PCIe SSD, and Thunderbolt 3 support. Desktop Gaming PCs are mostly huge towers, but it doesn’t have to be that way. The Gigabyte’s Brix Gaming PC is small (110 x 110 x 220 mm) but can be configured to be VR-capable (GeForce 1060+Core i7). Additionally, it comes with a lot of ports: 2x USB-C 3.1, 3x USB 3.0, 3x mini-DP, 1x HDMI. There’s integrated WiFi and Gb Ethernet, support for SATA and M.2 SSDs, two memory slots. Price remains the unknown, but we love the idea. MSI’s GS63VR laptop is a 15” mobile gaming rig that is compact (17.7mm thick, 4.2 Lbs) but packs a punch at the same time. It has a powerful NVIDIA GeForce GTX 1070 graphics processor and a 120Hz HDR display that has a 3ms response time. The compactness is made possible by using an impressive heat pipe cooling system that is shared among CPU and GPU units to dissipate heat efficiently. ARM has announced a new graphics processor, along with two new CPU cores that will start to appear in many 2018 smartphones. The Cortex A55 CPU Core is probably the one that will have the most impact on the everyday life of Billions of phone users. The Cortex A55 is the piece of silicon that runs your phone most of the time: when it is in standby mode. The new power optimizations it has will bring power efficiency to a new level, and everybody loves to have a little more battery life. ARM has arrived at Computex 2017 with a couple of new smartphone processors that it has developed with the express purpose of powering artificial intelligence-based solutions on mobile devices. That’s not surprising at all given that artificial intelligence is in vogue these days and as the industry makes a shift towards this technology, we can expect companies like ARM to follow suit as well. ARM claims that its new Cortex-A75 CPU core delivers laptop-level performance without using any more power than existing mobile processors. The company says that compared to the previous A73 core, the new CPU core provides a 50 percent increase in performance. The company’s new A55 CPU core is said to be 2.5 times as power efficient as the current A53 core which is an impressive improvement for a mid-range CPU. Both of the new processors rely on ARM’s “DynamIQ” foundation, it’s that design which enables the processors to be used in a variety of applications. It’s different from ARM’s big.LITTLE architecture in the sense that it doesn’t pair an equal number of high-powered CPU cores with low-powered ones. DynamIQ works with up to eight completely different cores so one powerful core can be coupled with mid-range or lower-power cores as required. ARM has also introduced its new Mali-G72 graphics core at Computex 2017. It’s more power efficient than its predecessor and also promises 17 percent more efficiency at machine learning processes. Even though these processor cores have been announced today, they won’t be available in consumer devices before 2018. Viber launches ‘Viber Out’ low-cost phone calls: How do rates compare to Skype?